"The children enjoyed your performance from beginning to end!". 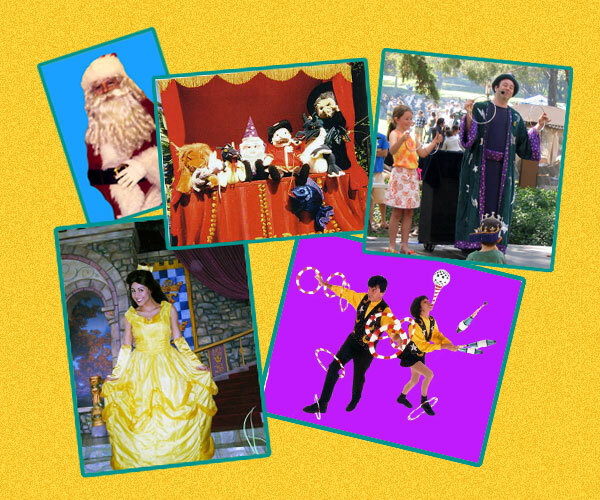 Our PERFORMERS & SHOWS are a GREAT way to entertain the kids!! We have a variety of kid’s programs designed for events ranging from home parties to school events to larger picnics and carnivals. Options include STROLLING ENTERTAINMENT, where our performers mingle with your guests, and SHOWS, allowing you and the kids to simply sit back, relax, and enjoy the antics!! Our staff is ready to assist you in designing an amazing program guaranteed to make your event GREAT! !